THE BAY AREA'S MOST TRUSTED ROOFING COMPANY SINCE 1987. When it comes to protecting your home from the elements your roof plays an important role, ask any Concord roofing company. And when it comes to taking good care of your roof, nobody can match Roofmax, the Concord roofers who are trusted by homeowners throughout the East Bay area for quality, service and value. We have a long history of serving our neighbors, with more than 25 years of success in providing roofing and other home improvement services in Concord and the surrounding communities. We treat every project, no matter how small or large, as if we were working on our own home! After all, we not only work here, we live here. Every day we drive by the homes of our neighbors who are being protected and kept safe with a Roofmax roof. Roofmax was founded in 1987 by Jon Aikele. Jon had his first construction experience at the age of 8, doing miscellaneous jobs for the people who were building his family’s home. The crew building his home paid Jon to sweep and clean up the job site – probably just to keep him busy and out of their hair! Jon got involved in roofing full-time after graduating from college and in 1987 he opened Roofmax in Concord. John’s goal was to create a company that approached the roofing process in a different way. Jon passed away in late 2010 but his legacy is honored by continuing to provide “above and beyond” customer service to our neighbors in every roofing, solar or home improvement project. We promise that we will deliver an experience unlike any other home improvement contractor, one that ensures that you actually enjoy the home enhancement process. RoofMax was re-incorporated under a new license in January of 2014 by longtime roofing contractor Kenny Falconi. RoofMax continues to be family owned and operated. Despite some tough economic times, the company continues to thrive. Today, in addition to being the top Concord roofers, Roofmax is a full-service home improvement contractor with customers throughout the East Bay. But we retain the same attitude we started with: neighbors helping neighbors. It is the only way we’ll do business, and the best way to ensure that you’ll receive the personal attention and quality work you want for your home. 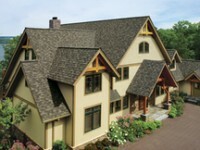 Your home deserves the professionalism and attention that only Roofmax can deliver. Call (925) 685-4151 or use our convenient on-line quote request to schedule a FREE in-home consultation and estimate. We serve Lafayette, Orinda, Concord, Danville, and the nearby areas. For more information, click here. They were efficient, they came out immediately, and they gave me a good price. The young man who came to do the work was friendly and knowledgeable. I will definitely use them again. I was very happy with their work.